There is no other way to put this, templates are… well, just that: templates. They are cookie cutters and someone else is, most likely, using the same template as you are. This means that your overall look, navigational structure, etc. look exactly the same as anyone else who is using such template. Most templates are somewhat customizable, but, if you wanted a major change, your developer will end up spending a lot of time re-writing the code. On the other hand, a custom web design allows for a specific navigational strategy, a design process that takes into consideration user interface (UI) and user experience(UX) that is specific to your business needs and audience and code flexibility. This makes such website truly yours and about your brand. It allows you to stand out, be unique and show your audience that you care about your brand and about them. According to Kinesis Inc., 75 percent of consumers admit that they judge businesses’ credibility based on their website design. Another study shows that 79 percent of shoppers reported that they will not return to purchase from a laggy website again, and approximately 44 percent will share the poor experience with their friends. And let’s not forget responsiveness and the importance that Google gives it for ranking. Showing quality and uniqueness adds to your credibility by showing your audience that you are thinking not only about your brand but, most importantly, about them. This has to do with not only design, but also navigability, user experience, loading speed and more. All this means that it is crucial to find your online tone of voice with a custom website design over a standard lower-quality template. Remember, just like first impressions in real life, your website gets judged by everyone who visits it and people will talk about it. Your HTML code directly affects your SEO, and being able to update or modify your code is a big plus with a custom website. It’s not a secret that every business is different and they grow at a different pace. This also means that your website needs to be unique in how it sees and adapts to such growth. 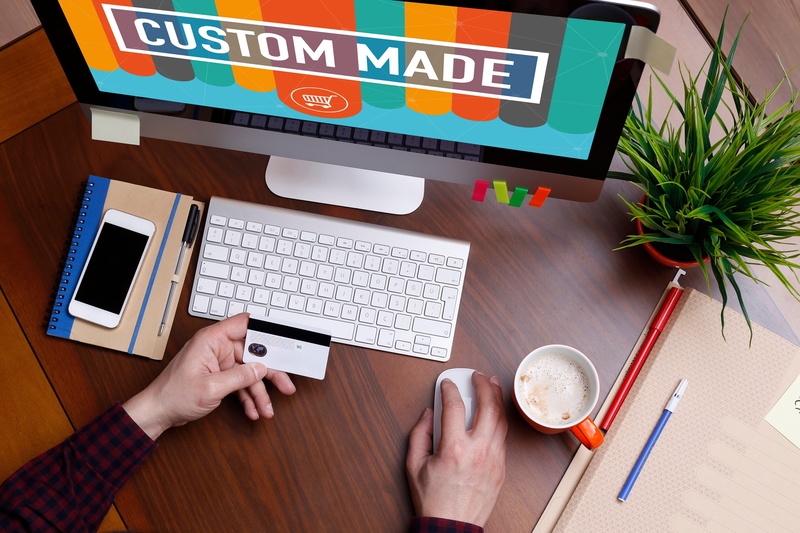 A custom website, unlike a website template, will allow you to adjust everything and anything as your business grows. Now, let’s not forget that it doesn’t matter how customizable a website could be, due to how fast things change with coding and your audience behaviors, you should always have in mind that the lifespan of a website is between 3-5 years… If you’re current website is 10 years old, you’re probably due for a website redesign. The best perk of a custom website design is that it is your own and it is designed with your specific audience in mind. However, getting to the final goal take a lot of time, so, it is always better to find a team of professionals to assist you so you can have more time to do what you really want and like to do, which is grow your business. If you’re ready to create your custom website or for a custom website redesign, just give us a call or email us.